How about this? I've got you a prize to win. The makers of the new Puritane disposable e-cig recently sent me a couple of samples to try. Not being a user of disposables myself, I asked my London black cabbie family member - who buys one every day - to road test them and give me a review. Being free-spirited as those in his trade tend to be, though ... I didn't hear a peep out of him! In the end I finally tracked him down for his in-depth analysis; "yeah, they're all right, got any more? ", which I suppose could be construed as a recommendation of sorts, I dunno. 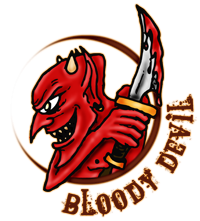 Still, hopefully some of you could offer more enlightening opinions because the company has kindly supplied some for readers of this blog. "Which national High Street chemist chain began stocking Puritane products in February?" Enter your answer in the box below (if I've done it right) to claim one of 50 Puritane 16mg disposable e-cigarettes for yourself. Closing date for entries is 31st July or when they're all snapped up. Beneath you, DP. When and how did you decide to advertise? 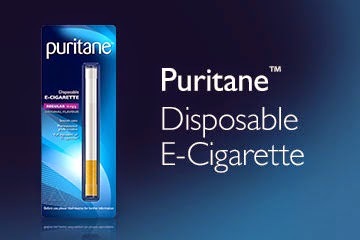 The brand name contains the word 'puritan', that to me shows anti smoking sentiment. give them some credance,in the meanwhile they remain little more than appeasers and fellow travellers. I don't think this is advertising. I entered my answer anyways.